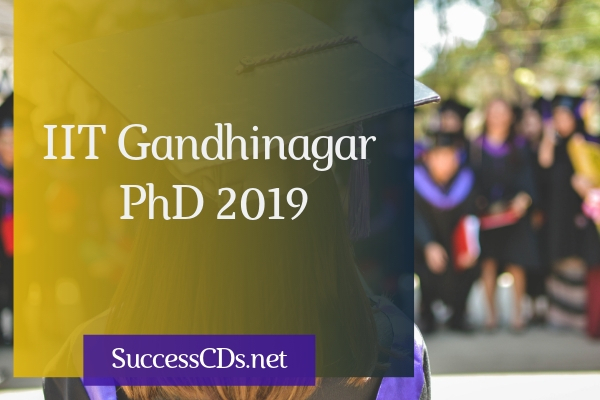 IIT Gandhinagar is looking for bright and dedicated young scholars interested in research to join us as PhD scholars. The total number of vacant seats for the current semester is 96. Currently, we offer PhD Programs in Biological Engineering, Chemical Engineering, Chemistry, Civil Engineering, Cognitive Science, Computer Science and Engineering, Earth Sciences, Electrical Engineering, History, Language & Literature, Materials Science and Engineering, Mathematics, Mechanical Engineering, Philosophy, Physics, Political Science, Psychology, Social Epidemiology and Sociology. Continuing Doctoral Program (CDP): This if for the candidates working in industry or as a faculty in any educational institution. In this category the candidate is given advance admission with 90 days of residency requirement in 1st year and on successful completion of 1st year, the admission is confirmed with the expected minimum 2 years of full time residential requirement on campus for completing coursework and a major part of thesis work. After 2-years, the candidate may be permitted to go back to parent organization subject to significant progress in thesis work.